Buoyed by a win over Rijeka in the Europa League third qualifying round, Sarpsborg take on Maccabi Tel Aviv in the battle for the group stages of the competition. The Norwegian side have been impressive at their Sarpsborg Stadion this term and you should know that they recorded four wins in previous five home games in the national championship. 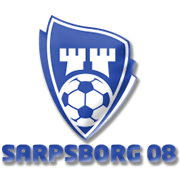 Sarpsborg are likely to adopt an attack-minded approach in Thursday’s football match against Maccabi Tel Aviv and we believe that they are going to find the net in the first leg. The Israeli outfit outplayed the likes of Radnicki Nis and Pyunik to set up a meeting with Sarpsborg in the final qualifying round, but seeing that they are on a three-game winless run on the road in the Europa League, share of spoils appears on the horizon in this one. Eitan Tibi is a profesional footballer who plays for Maccabi Tel Aviv. Born in Jerusalem on 16 November, 1987, Tibi started his senior career at his hometown club Beitar Jerusalem. After ending his spell with Beitar in 2010 he moved to Charleroi and it has to be noted that the made nine league appearances for the Belgium outfit in the 2010/2011 season. The Israeli defender then returned to his homeland, signing a contract with Ironi Kiryat Shmona, but he spent no more than one season at the club. In the summer of 2012 he signed a three-year contract with Maccabi Tel Aviv and he has been playing for the club ever since. His main position is centre back, but he is capable of playing as a left back as well. In 2012 Eitan Tibi made his Israel debut against Czech Republic and he has established himself as a first-team regular. He started the 2018 World Cup qualifier against Italy, but Israel suffered a 3-1 loss to Giampiero Ventura’s troops in their opener. Maccabi Tel Aviv are the oldest and probably the biggest clubs in Israel. The club was founded in 1906 and they have been playing an important role in the Israeli League ever since. In 2015 Maccabi won their 21st trophy in the national championship and the same season they clinched their 23rd Israeli Cup title. The club’s fiercest rivals are Hapoel Tel-Aviv and they welcome their opponents at Netanya Stadium. The capacity of the venue is 13 610. The likes of Beitar Jerusalem Hapoel Be’er Sheva and Maccabi Haifa are considered Maccabi Tel Aviv’s bitter rivals as well. In 1969 the club won the AFC Champions League and they repeated the success two years later, beating Aliyat Al-Shorta in the final. The likes of Jordi Cruyff, Paulo Sousa, Rade Prica, Moanes Dabour and Vincent Enyeama are the high-profile footballers who were part of the team in the past. The colour of Maccabi’s home kit is yellow and blue.